At Intermot in Cologne, Honda displayed an updated version of its sport-tourer in drag, the VFR800X, or Crossrunner. It’s attractive and no doubt engineered as finely as a Swiss watch, packed with enough technology to land a rover on Mars. But it annoys me because it is a fraud. Why? Read on. Let’s rewind a little bit. 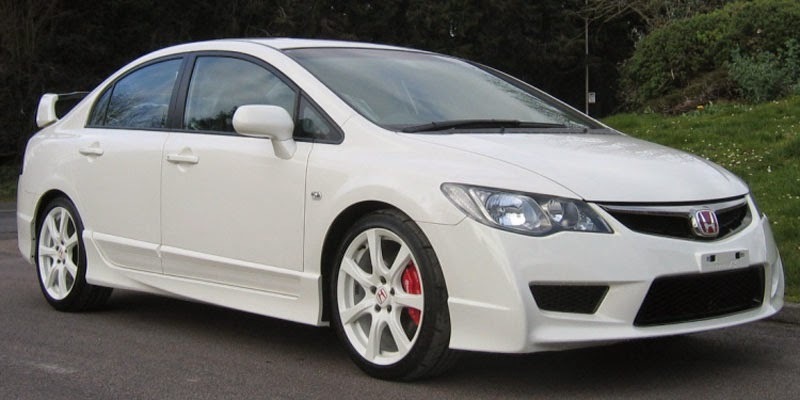 Over the years, Honda has acquired somewhere in the region of £60,000 from me in the form of three shiny new cars and two motorbikes. Each was engineered and built to perfection—each was a joy to operate. Among these vehicles I amassed somewhere around 400,000 miles. Only one (bike) left me stranded, in this case due to a manufacturing defect with the clutch kingpin which was resolved swiftly and somewhat humbly by the dealership (not even Honda is perfect). Suffice it to say I have spent more money with Honda than any other manufacturer (of anything!) and so I feel quite justified to be annoyed and have a strong opinion. So why the love-hate? Quite simply because they seem to have lost their innovation—the thing that used to make Hondas feel special, right down to their everyday cars and low end scooters. Honda engines always feel like they’re exceeding the 100% mark of their specification... they feel willing and eager. 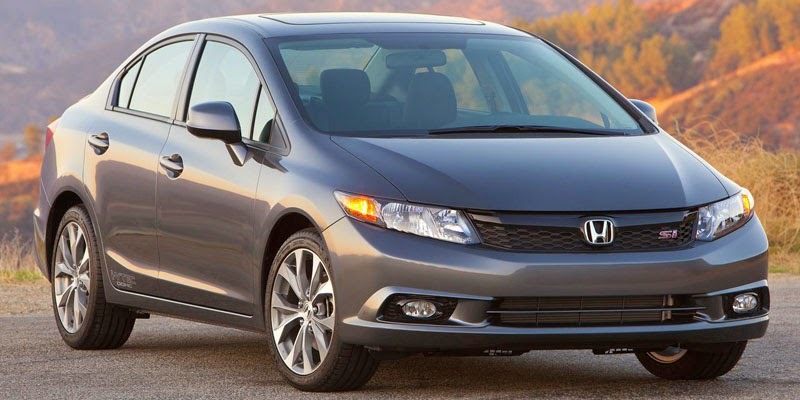 Honda chassis are tight, manageable and always predictable, endowing even the lowliest Civic with handling from much sportier classes of cars. The simple, basic Hornet (CB600FA) felt like a sport bike despite soft, basic, non-adjustable suspension and a sticker price less than two-thirds of the CBR600RR. From the 70s through to the mid-90s, Honda set new standards for design—although a common sight on the roads, Hondas always looked good, like a well-pressed, tailored suit. Over to the bikes. Honda’s Africa Twin (XRV-series) has achieved almost cult status because it was functional, innovative, capable and reliable. Nothing has directly replaced it since production ended with the 2003 model year. The Transalp/Varadero (XL-series) was a similarly well-loved range with similar credentials, but production ended with the 2013 model year. 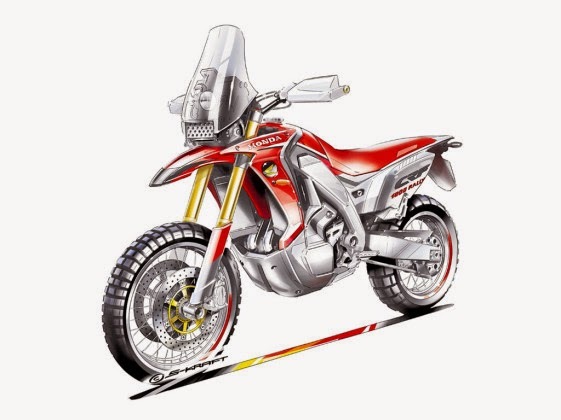 In fact, as of 2014, the only real dual sport bike in Honda’s range is the highly rated, dirt bike based CRF250L which might do for a (lightly packed) solo journey, but is not designed to transport two humans and their worldly belongings. We will disregard this excellent bike as it not a ‘heavy’ adventure bike. 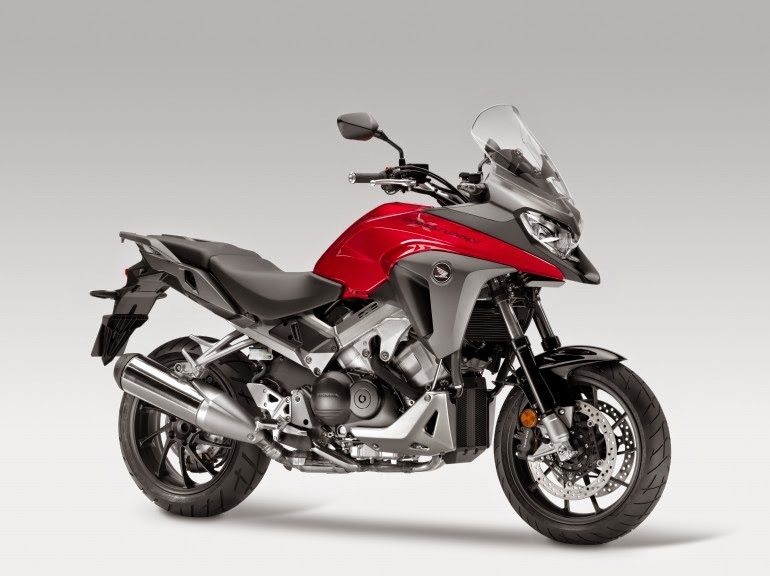 Honda’s heavy ‘adventure’ range (in the UK) now consists of a number of beak-endowed road bikes with ‘X’ designations—the CB500X, the NC750X, the VFR800X (Crossrunner) and the VFR1200X (Crosstourer). All use tarmac-oriented 17” wheels front and rear, apart from the 1200 which has a traditional (for dual sport bikes) 19” front/17” rear combination. Honda needs to do some soul-searching and start leading the market again, instead of playing catch-up, or worse, putting out tangible apathy. Let’s talk wet weights (with all fluids plus 3/4 full fuel tank)—dual sport bikes should be as light as possible, right? People routinely criticise BMW for making heavy bikes, so how does Honda do? The range is decidedly porky—CB500X (196kg), NC750X (219kg or 229kg with the dual clutch transmission), Crossrunner 800cc (240kg) and Crosstourer 1200cc (275kg or 285kg with the dual clutch). Compare this to BMW’s ‘heavy’ adventure bikes—G650GS (192kg), F700GS 800cc (209kg), F800GS (214kg), R1200GS (238kg). Adventure (long range) versions of the F800GS and R1200GS weigh in at 229kg and 260kg respectively. Each BMW is about the same weight as the equivalent Honda from one engine class lower (Honda does not offer long range versions of their bikes). 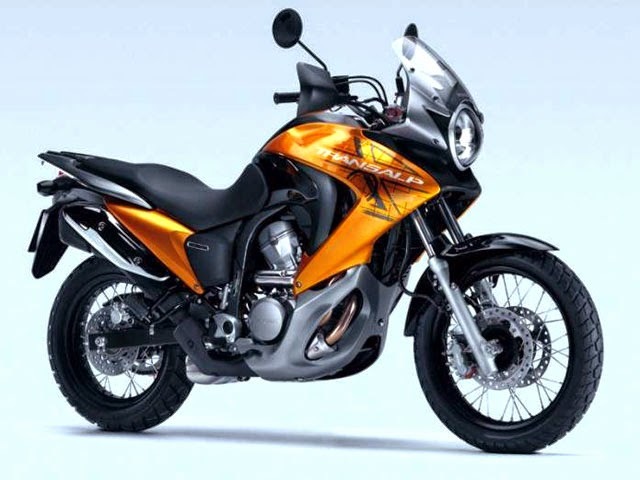 BMW engineer the GS range to be dual sport bikes from the start, whereas Honda adventure bikes are now just tarted up versions of regular, road-going bikes. Where is the innovation? Slightly taller suspension, a few plastic bits and a good PR department do not constitute innovation and shames the mantra of the late Soichiro Honda—‘Believe in your dreams and they will believe in you’. Perhaps most telling is that adventure parts company Touratech currently only offer 20 parts for the Crosstourer, 2 parts for the NC700X (predecessor of the NC750X) and no parts for any of Honda’s other bikes in this class—out of their range of literally thousands of parts for other adventure bikes (their catalogue is nearly 2,000 pages). I know Honda is capable of innovation, but was this mostly due to Soichiro Honda’s genius and vision? An excellent example is the 50cc Honda Cub—tiny, underpowered but utterly charming and packed with innovation in its day—more than 60 million of these were sold worldwide. In the 70s, Honda’s CVCC engine cut emissions through innovation. In the late 80s, Honda’s NSX shook up the supercar scene due to its (comparatively) low cost and class-leading performance and handling. Also in the late 80s, the Civic set new standards in the economy car class with race car style double wishbone suspension and (then) futuristic styling. Since Soichiro’s death in 1991, Honda has become a shadow of its former self. Nothing truly groundbreaking has come from them since—they have lost their magic. The products and features which made them special have slowly disappeared from market. Civics now use bog-standard strut and multilink suspension systems—gone are the wonderful double wishbones at all four corners. 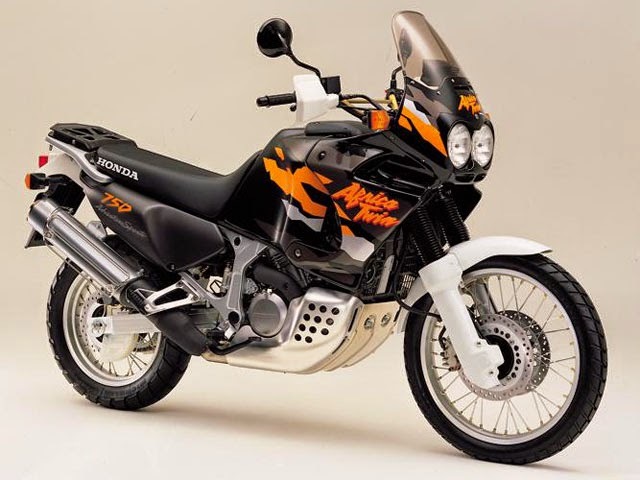 Their once shining examples of adventure bikes died away, leaving ‘me too’, late-to-the-party, jump-on-the-bandwagon exercises in styling in their places, in a half-hearted attempt at stealing a bit of the pie from BMW and others in this class. Honda has become Sony—solid, well-engineered products that excite about as much as white goods... I can’t remember the last time the thought of a new dishwasher raised my pulse. Poor Soichiro is rolling in his grave. There are noises in the media about a replacement for the Africa Twin—but they remain just that... rumours... vapourware. Honda needs to do some soul-searching and start leading the market again, instead of playing catch-up, or worse, putting out tangible apathy. No one will replace Soichiro’s genius, but of the 5 billion humans on this planet, chances are there is someone out there to supplement and progress it. Come on, Honda, pull a finger out and start doing you own thing again. Show me some magic (again) and I’ll show you my wallet (again). I think it’s important to mention what I believe to be Honda’s hits since the 90s—but the list is short, considering the number of products they produce. 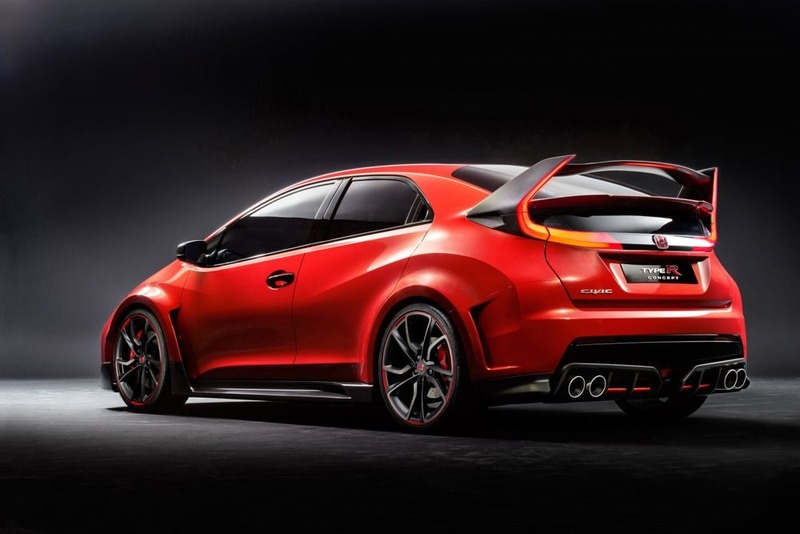 Mentioned above, the design of the 8th generation Civic. The hugely popular N-Box series in Japan (bring them to the UK please). The European Accord Type R from 1998–2002. The MSX125/Grom (aka the new Monkey Bike). The 7th and 8th generation European Accord (Acura TSX in North America). The VFR1200F with the first available dual clutch transmission in a mainstream motorcycle. And their ‘whisper quiet’ diesel engine range which set a new standard for smoothness and low vibration. 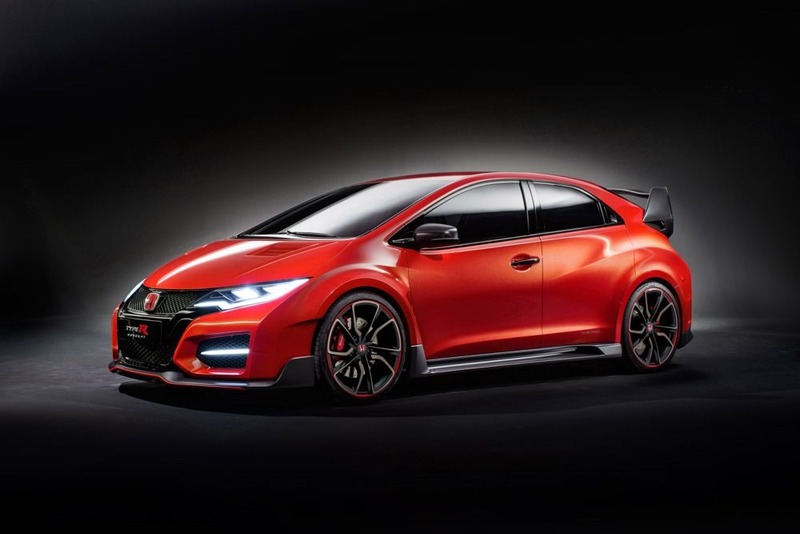 And that brings me to the Paris Auto Show with Honda’s main attraction—the imminent new Civic Type R ‘Concept’ (in usual Honda fashion, this concept is practically production-ready). They have done a good job giving a lift to the dowdy standard hatchback’s looks by flaring it out and redoing the rear end with a novel spoiler integrating the rear lighting. It’s unmistakably Honda and unmistakably Japanese—it has identity. The new Type R is the most daring effort from Honda in years, polarising public opinion and not playing it safe for once. It’s over-the-top, showy, over-styled, perhaps even crass—and I love it for that.